Ronan is perhaps the most mysterious of the Raven boys that Blue Sargent has befriended since St. Mark's Eve. He is plagued by memories of his family, now torn apart and unable to return to their childhood home, and of the strange and magical dreams he's been having all of his life. When a dangerous stranger comes to Henrietta, it becomes evident that Ronan's dreams are connected to the discovery of the ley line and the search for the Welsh king in shocking, life-altering ways. 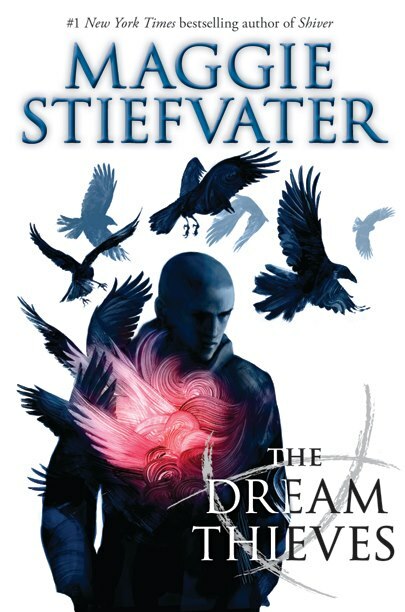 Like with The Raven Boys, Maggie Stiefvater begins The Dream Thieves with a prologue that will completely capture readers' attention and will ensure they are quickly invested in this peculiar, magical story. The plot is surprising and meandering, even in a setting where nearly anything is possible and characters and events are connected in mysterious ways. Stiefvater's language is arresting and enthralling, and will keeps readers engaged throughout the twisty plots and more puzzling mysteries. This second installment is very much Ronan's book as he figures out the mystery of his dreams and the implications they have for his friends, family, and the missing king, but Blue's family continues to steal the spotlight with their mysteries, talents, and humor. 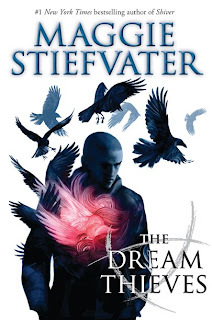 Stiefvater concludes The Dream Thieves with yet another mystery that will leave readers wondering and dreaming for hours, and desperate to know where Blue and the Raven boys will end up next. Cover Comments: I really like the colors in this cover, and how it features Ronan, who looks like he has a lot going on inside of him--so symbolic to the story! The Dream Thieves will be available September 17, 2013. Great review! That book will be mine! I'm hoping Maggie will come to my area as she did when The Raven Boys debuted.